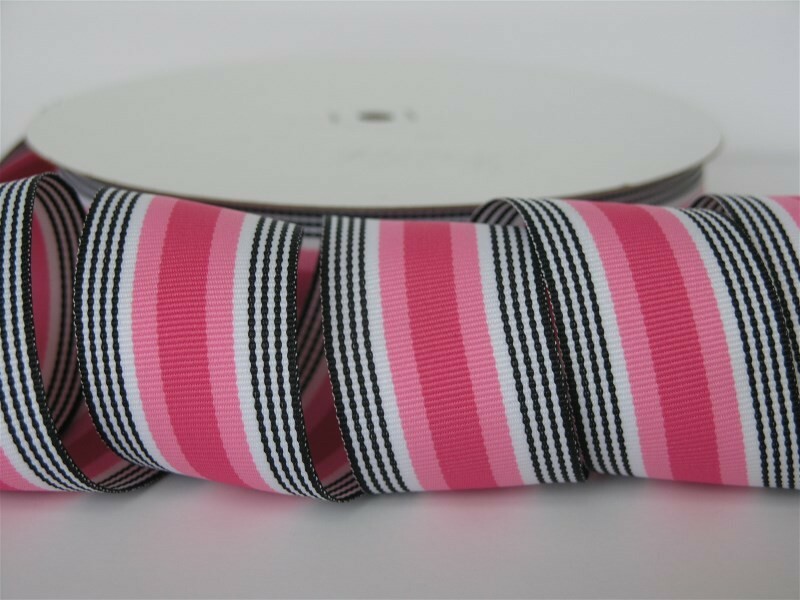 1.5" Stripe in White, Black, Pink, and Sarsaparilla. Great for Valentine's Day and beyond! Woven through to both sides. 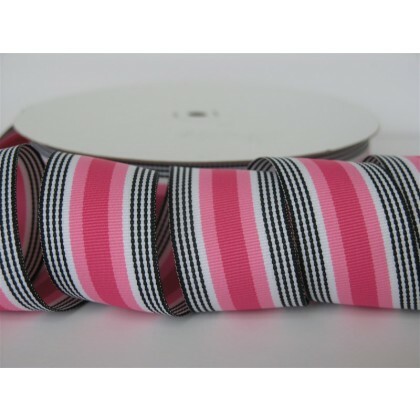 100% polyester, machine washable, low iron.